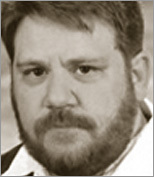 Kurt Cagle is an author, developer, and founder of Semantical, LLC, living in Issaquah, WA. You can subscribe to Kurt's published articles here. Join Kurt Cagle, online editor for xml.com and O'Reilly Media and author of nearly twenty books on web development and xml technologies, as he explores XRX and the use of XQuery to build RESTful services in this 90-minute online presentation.